Nishnawbe Aski Nation Grand Chief Alvin Fiddler announced Oct. 28 that the Thunder Bay training centre has been renamed for Chanie (Charlie) Wenjack, a First Nations boy who died while running away from residential school 50 years ago on Oct. 22, 1966. The Oshki-Pimache-O-Win Education and Training Institute will be renamed as a “fitting and lasting tribute to the memory of Chanie Wenjack and all of our youth who were lost during the Indian residential school era,” said Fiddler. “The institute that has provided new beginnings for so many of our people will be known as the Chanie Wenjack Pimachehowin Educational Institute.” Oshki-Pimache-O-Education and Training Institute is an Aboriginal post-secondary education and training facility providing accredited post-secondary education to the people of the 49 communities of Nishnawbe Aski Nation and other learners. 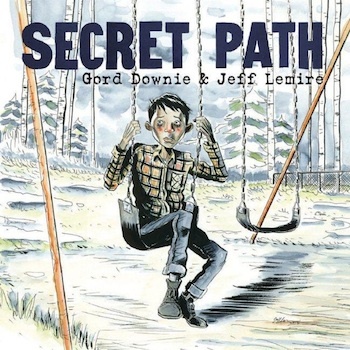 Fiddler said it was a historic opportunity to keep Wenjack’s memory in an appropriate and significant manner “and build on the momentum his legacy is gaining,” through the efforts of Tragically Hip frontman Gord Downie, who wrote a 10-song solo album called “Secret Path” to honor the boy’s story. Acclaimed author Joseph Boyden has also contributed to the boy’s legacy by penning a novella called "Wenjack." Wenjack died fleeing on foot Cecilia Jeffrey Indian Residential School near Kenora. The journey to his home of Ogoki Post was 1,000 kilometres. Wenjack was found dead along the railway tracks, only having made it 60 kilometres from the school.